2019 is time to make some cherishable and worthy investment. Smart investment involves the investment in good property. Have a review of the financial year 2018 and see what is pending to be accomplished in terms of building your asset, giving your investment a meaning and profit along with exponential growth in investments plans. Only with the said accomplishment can you consider which financial resolutions will help you achieve your money goals going forward. As the New Year approaches, make a cherishable and remarkable investment plan by investing in a dream home buying in the silicon city of India in Bangalore. Make your smart investment plan clear and transparent and for a transparent and risk-free investment, invest in a worthy venture developed by the renown developers according to your aspiration. Explore the best property of Bangalore developed by the top developer of the country the Godrej Properties the Godrej Aqua. Godrej Aqua apartment is the exclusive residential project ideal for your investment for the outstanding luxury in an affordable range. The venture for the best living!! Godrej Aqua venture contains spacious 2 Bhk and 3 Bhk configuration units that are designed to deliver the luxurious new age modern lifestyle. The property is spread across the vast land to accommodate the structure amidst the lush green cover for the wonderful stay. The units of the Godrej Aqua are designed with widespread windows for the best ventilation all day for the comfortable living of the inmates. The silicon valley of India is in the vicinity of the Multi-national IT companies for the ease of commute of the employees travelling to the workspace. Godrej Aqua Hosahalli Project is in the proximity of the School, Hospitals, ATMs IT companies, Airport, supermarkets, banks, eateries, shopping hubs and religious centres for all your conveniences. Property consists of multiple amenities. Godrej Aqua Hosahalli apartment includes a classy clubhouse that lets you enjoy your time with family and friends. to suit all age residents it features various amenities like A Swimming Pool, multi-tier gymnasium, sports club and children’s play area, and more. The specially created kids’ pool is made in the project to ensure the safety of children’s without worrying. A multi-purpose hall is built in for all your celebrations and parties. Godrej Aqua includes provision for Sports by having facilities like Tennis Court, other indoor sports and Badminton Court in the premises. Godrej Aqua Billamaranahalli venture is also continuously monitored under CCTV surveillance for the advanced safety of the inmates and the property is also guarded by round the clock by the security personnel for enhanced safety. The venture has provision for 24 hours power backup facility to aid in emergency situations. Top quality vitrified Tiles are used for greater durability and enhanced the look of living area. 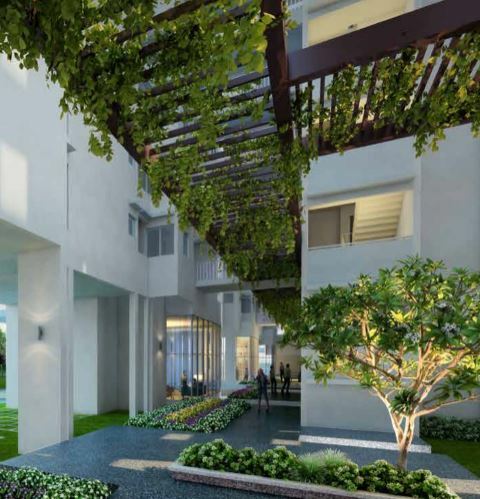 Price of Godrej Aqua Hosahalli flats ranges in the affordable range so that all the aspiring buyers can have their dream unit with Godrej Properties.